That is the 4th one I have seen come apart. The ones that did it where being run hard and on asphalt. The guys where trying to tear them up since they where worn out. Since you bought the buggy used I don't know if it will work but you obviously have the first release yellow foams in there. HPI warrantied those as they were what was causing the tire blow outs we were all seeing to begin with. 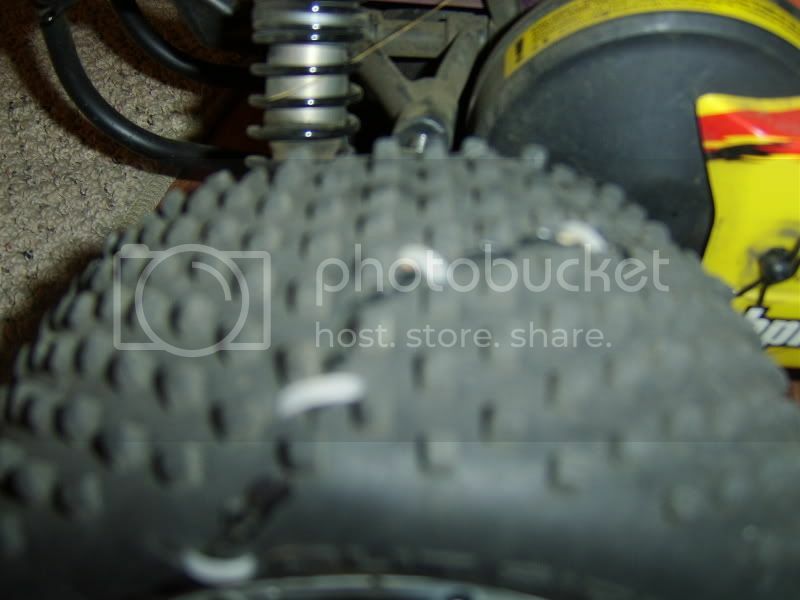 Call HPI with your serial # and ask about replacing the tires and foams. You might get lucky and get some freebies. All in good time....www.hostilehobby.com has a mold of new tire with new compound and should (if no more delays) be selling in the next several weeks. Or you could use the new Elcon rims for the Baja, They fit straight on the Baja then you have a choice of what tyres from fg,sld,dld etc to fit. Do you have a link to the elcon rims? When did Elcon start playing with plastic ?!? Revo_Dude, call HPI. 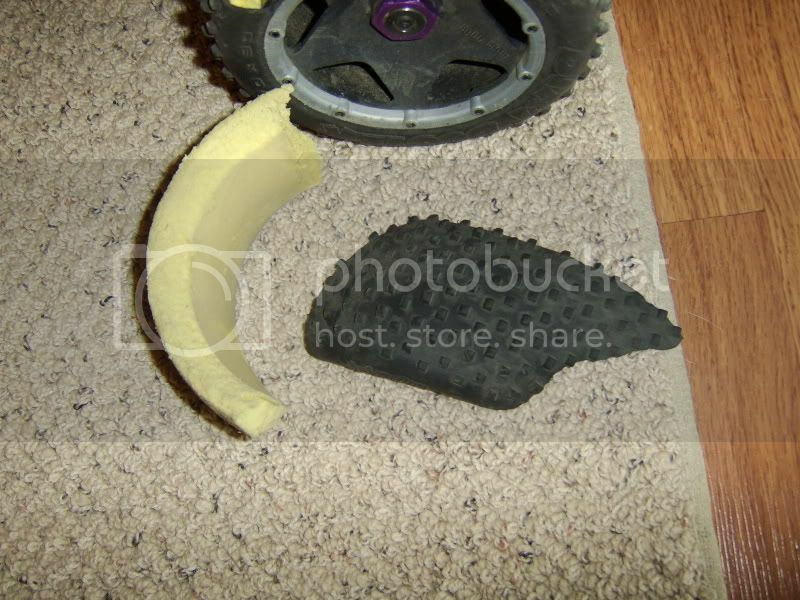 Those are the yellow foams known to go boom, and blow up the tire. 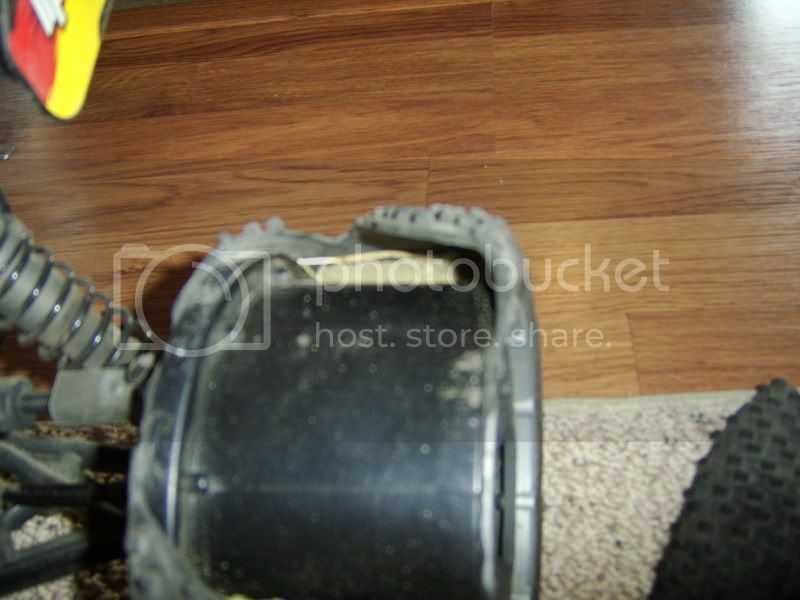 Call HPI, tell em that, and they should send you the new style black foams, and tires. Wow, nicely done! 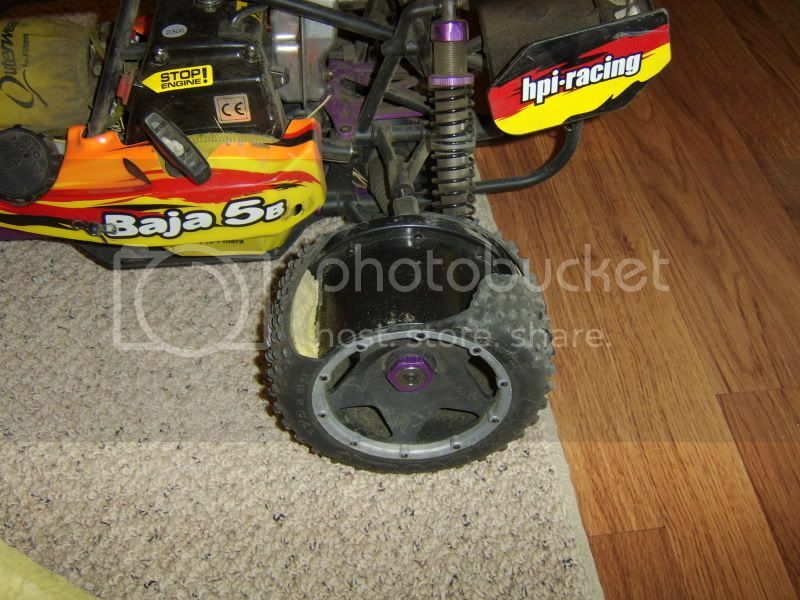 I dont run on asphalt at all with my baja. I have had a tire blow out, but it was because of an incident where my wife hit one of those big plastic skateboard ramps at full speed going the wrong direction. My original tires had the original yellow foams in them. well to tell you the truth zip ties and superglue are a must and hold up fairly well. lol. its been thorugh 1 tank so far and no cracks rips or anything. I have New Tires, Rims, Foams comming on Fri from my LHS. they wanted 90 bucks for a set, and i said i can get them for 64 on DDM website and I ordered them for 65. lol. I think they are pissed though.